The United Republic of Tanzania, formerly known as Tanganyika, is a fascinating and beautiful nation situated in East Africa. It is blessed with beautiful landscapes, magnificent mountains dense forest, peaks and many species of fauna and flora. While the country is not rich, it has successfully attracted potent investors and donors from the international bodies but this has not translated to palpable economic growth and development. irrespective of this, there are quite a lot of interesting facts about Tanzania that are worth knowing and Buzz Kenya highlights a few of these Tanzania facts. Tanzania is bordered by Uganda and Kenya to the North, the Democratic Republic of the Congo, Burundi, and Rwanda on the west, Malawi, Mozambique and Zambia to the south and the Indian Ocean to the east. Due to its distinctive geography, Tanzania is one of the most diverse countries in the world, from mountains, islands, deserts, rivers, to tropical rainforests, volcanoes, waterfalls, and lakes. Tanzania is one of the biggest countries in Africa and comprises coastal lowlands and volcanic highlands and the Great Rift Valley. The highest point in Africa is also in Tanzania and is the peak of Mt Kilimanjaro. Tanzania was among the first African countries to gain independence. It was liberated on December 9, 1961, from British colonial government and Julius Nyerere was the first president. Tanzania’s new Constitution was created in 1992; it marked the end of a 31-year Marxist dictatorship. This led to a multiparty system. Benjamin Mkapa became the first democratically elected president on November 23, 1995. Since that time, it has held several democratic multiparty elections. The country gained fame on the world stage in the mid-19302 when a famous American author Ernest Hemingway, 1954 Nobel Prize & 1953 Pulitzer Prize published a famous book “Green Hills of Africa” (“The Snows of Kilimanjaro”). This country enjoys good diplomatic relations with many countries. It has the best diplomatic ties with the United States of America. On August 26, 2000, it was visited by Bill Clinton who at that time was the president of USA. The country has varieties tourists’ attractions features. These include famous national parks such Serengeti National Park, Ngorongoro Crater, Mikumi National Park Selous Game Reserve, and the Gombe National Park, stunning islands tropical rainforests and wildlife sanctuaries. Tanzania boasts of having the tallest mountain in Africa and the fourth highest volcano. The country mainly relies on agriculture. It is a major exporter of products such as coffee, tea, cotton, sisal, tobacco, cashew nuts, seaweed, fish products, cloves and minerals such as diamond and gold. This African nation has more than 120 ethnic groups. The major ones include Sukuma, Hehe Nyamezi, Gogo, Bena, and Haya. Christianity and Islam are the major religious groups in Tanzania. The major languages include English and Kiswahili. Kiswahili is the official language. Unlike many other countries, one of the major facts about Tanzania is that it has never experienced a civil war. The famous five people Tanzania has produced include Julius Nyerere (known as the “conscience of Africa), Filbert Bayi (a world-class runner in the mid-1970s), Jane Goodall (naturalist), Gertrude Mongella (President of the UN Conference on Women in late 1995) and Jakaya Kikwete (the current president). This country has a population of 29 million, distributed over an area of 945,000 square kilometres. Which is approximately 50.62 people per sq. km with 120 African ethnic groups, none of which represent more than 10 percent of the population. The Sukuma is the largest group and lives in the north-western part of the country, south of Lake Victoria. The Hadzapi of northern Tanzania has built a society based on hunting and gathering food, while the Iraqw live in the central highlands of Mbulu and are known for their statuesque, immobile posture and sharply delineated features. This nation made its major worldwide appearance in 2007 when Miss Tanzania, Flavia Matata, was ranked sixth in the “Miss Universe Pageant” in the United Mexican Nation. Miss Matata was among the beautiful girls from Africa who contested in the competition. Tanzania is the only country that has mapped out a minimum of 25% of its total land mass to wildlife parks and conservation areas. In today’s geographical mapping, the total protected area is equivalent to the size of the Federal Republic of Germany and Belgium combined and includes the famous Selous Game Reserve which measures about 55,000 square Km and boasts the single largest wildlife conservation in Africa being larger than Belgium, Costa Rica, Denmark, Burundi, Israel, Lesotho and Kuwait respectively. 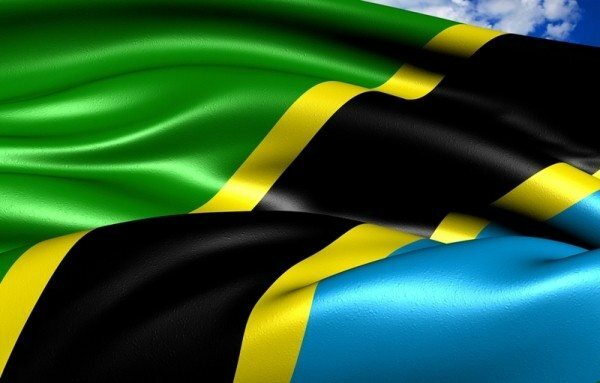 These are the ten most important facts about Tanzania that can help you understand the country and its people.